Agios Georgios. 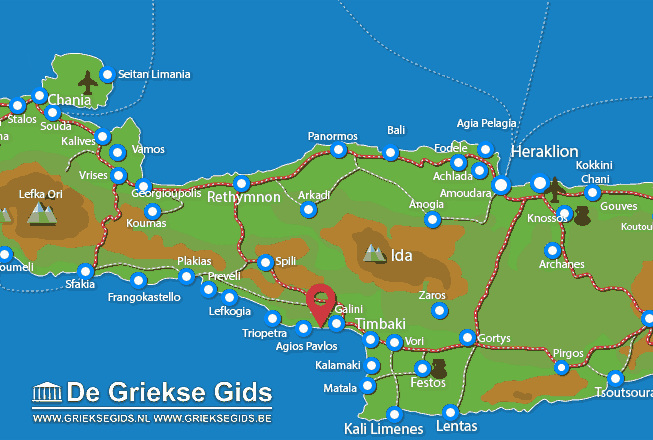 Agios Georgios is about five kilometres away from Agia Galini in southern Crete. It has a secluded pebble beach with crystal clear water, where Michalis runs a primitive, authentic tavern down by the water. It is very nice here. Order a special omelette, fresh fish, a Greek salad and a carafe of wine and you will have the time of your life. 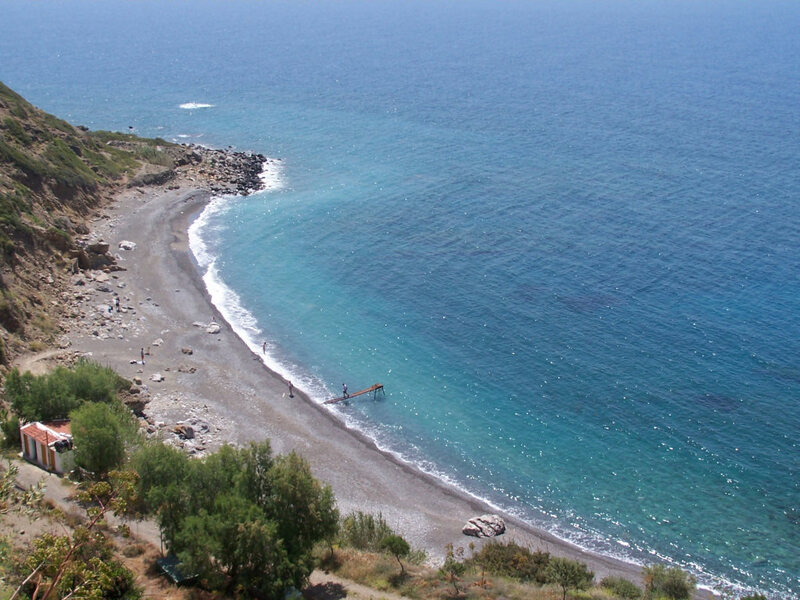 The beach is accessible on foot from Agia Galini. It is a beautiful walk through the mountains that will last no longer than one hour. Of course Agios Georgios is also accessible by car from the road Agia Galini - Melambes. It’s smart to park up the road, because the steep road that goes down to the beach is a dirt road with lots of stones and is not suitable for ordinary cars. It is about a five-minutes walk down, so it is doable. There is a daily boat from the port of Agia Galini to Agios Georgios. In the afternoon around four o'clock the boat comes back down to pick up beachgoers to go back to Agia Galini. A little further located from the beach is a slightly larger taverna,’Nikos’. You can eat a snack or drink and enjoy the beautiful view. Nikos rents the beach beds and umbrellas on the beach. He even offers a few rooms to rent. Agios Georgios in southern Crete really is a secret place for the connoisseur of Crete, where guests can relax. Rethymno Prefecture: Where on the map is Agios Georgios located?